What a great opportunity to buy a brand new contemporary 140m2 townhouse situated in a quiet cul-de-sac in Westbrook. 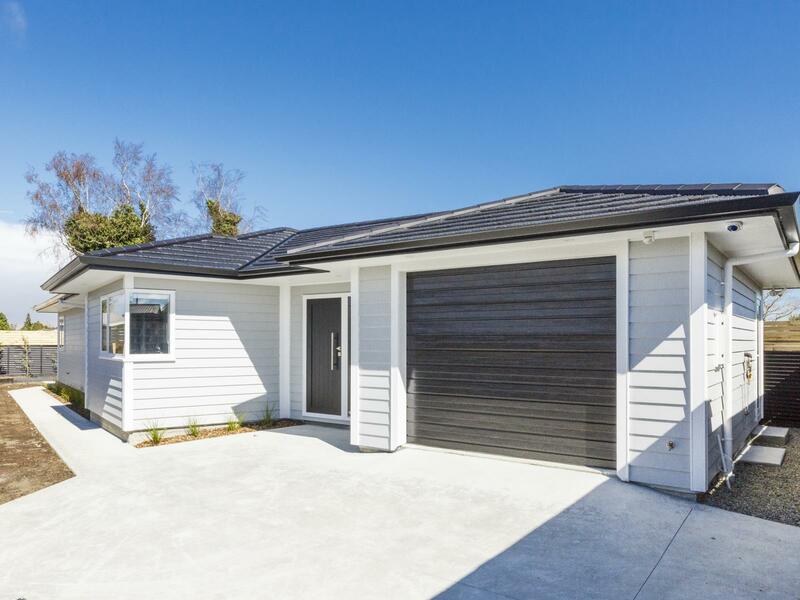 Constructed of easy care linear board with coloursteel roof and double glazing, this three-bedroom home offers open plan living with heat pump, well appointed kitchen with great work spaces, lots of storage and the bonus of a scullery. A dual-purpose bathroom accessible from both the master bedroom and hallway and an additional separate toilet for guests. The living area has bi-fold doors opening out onto an outdoor living area, great for those summer BBQs. A single internal access garage, fully insulated, gas infinity hot water, security system and lighting, a fully fenced 423m2 section and landscaping. Why build when you can move in and enjoy?